Forever Garcinia Plus is a revolutionary dietary supplement suitable for any metabolism , fast or slow, containing ingredients that may aid in weight loss. Contains a natural appetite suppressant. Temporarily inhibits the enzyme that converts calories into fat. It is not necessary to adjust the suggested amount per body size or weight. A useful tool in weight management. The primary ingredient of Forever Garcinia Plus is a natural substance derived from the fruit of a Southern Asian tree, the Garcinia gummi-gutta , (former scientific name Garcinia Cambogia), also known as the Malabar tamarind and brindall berry. The rind of this fruit is dried and used to produce a substance, the Hydroxycitric Acid (HCA) , that is very similar to the citric acid found in oranges and other citrus fruits. Specialists in plant compounds became aware of the remarkable qualities of Hydroxycitric Acid in the late 1960s, when they learned that it can temporarily inhibit the body’s production of fats from carbohydrates. During the normal metabolism of a meal, carbohydrate calories that are not used immediately for energy or stored as glycogen are converted into fats in the liver. Hydroxycitric Acid (HCA) works by inhibiting the enzyme citrate lyase which converts these calories into fat. As a result, the body will burn existing fat stores, thus aiding in weight loss. 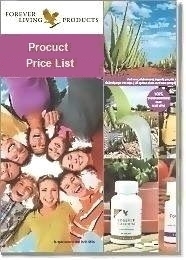 Another significant ingredient in Forever Garcinia Plus is Chromium Picolinate which prevents chromium deficiency. Chromium helps break down sugar for the body to use, it is rarely found in today’s diets and its deficiency can cause fatigue and excess fat production. Sugar and exercise cause the body to use more of the limited amount that is consumed. Three Forever Garcinia Plus capsules yield 300 mcg of chromium, thus correcting this common deficiency. 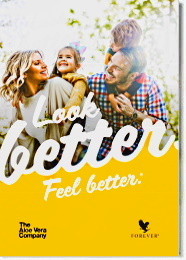 The two other important ingredients found in Forever Garcinia Plus are Medium Chain Triglycerides (MCT) and Safflower Oil , that sometimes are called "healthy fats" or "fatless fats". These oils help to keep the blood vessels flexible and have been shown to be important for overall cardiovascular health. They boost the metabolic rate, so the body burns these oils for quick energy, and energize the body quickly, making Forever Garcinia Plus an excellent supplement for any active or athletic lifestyle. The added benefits of these two healthy oils include their contribution to healthy skin, hair and nails. 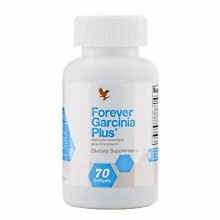 One softgel Forever Garcinia Plus three times daily preferably 30-60 minutes before meals.